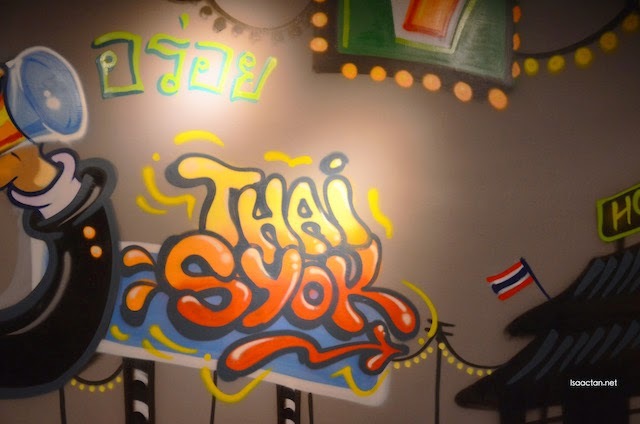 Having just been in operations for less than a month since March 2015, Thai Syok certainly has become the restaurant of choice and is especially popular with the working crowd in the Jalan Ampang and KLCC area. 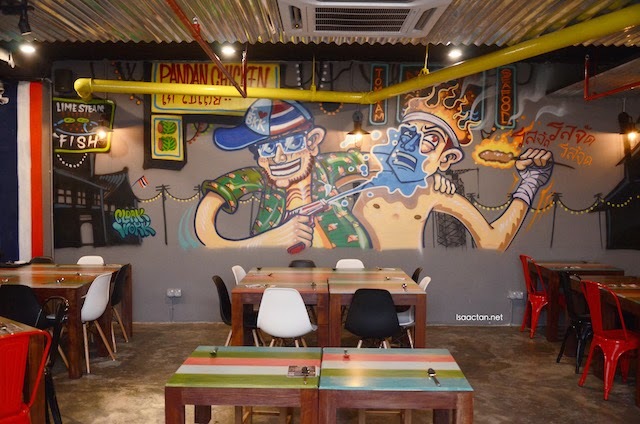 Interestingly called the King Rama V Fried Rice, the dish came complete with fragrant Thai fried rice, with juicy seabass fillet and sweet sauced chicken cubes. 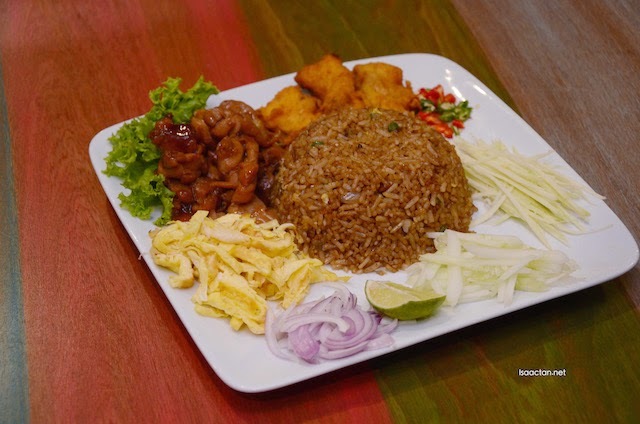 On the side we have the Thai Belacan, which goes really well with the piping hot fried rice. A platter of crispy duck served with lime and fish sauce, why not. It was okay, albeit a tad too sourish for my taste. 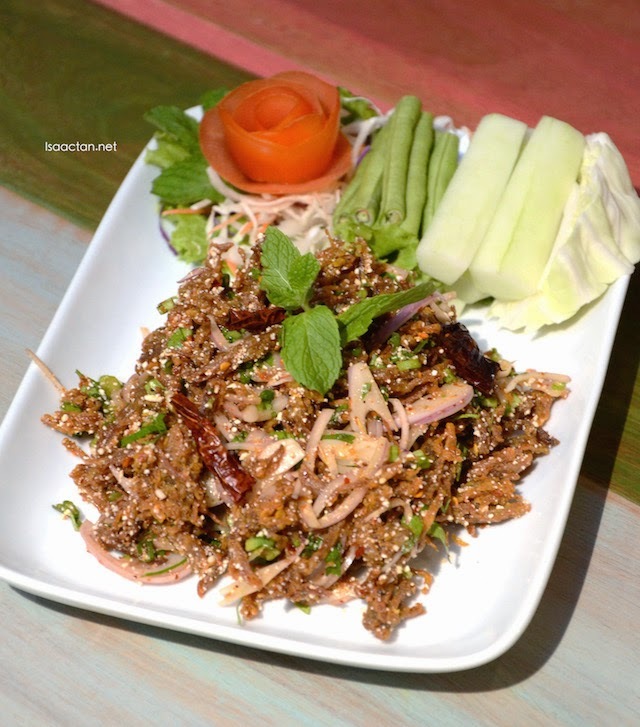 The deep fried duck laces is braised in lime juice, mint, fish sauce, grounded browned glutinous rice. I much preferred the next duck dish though. 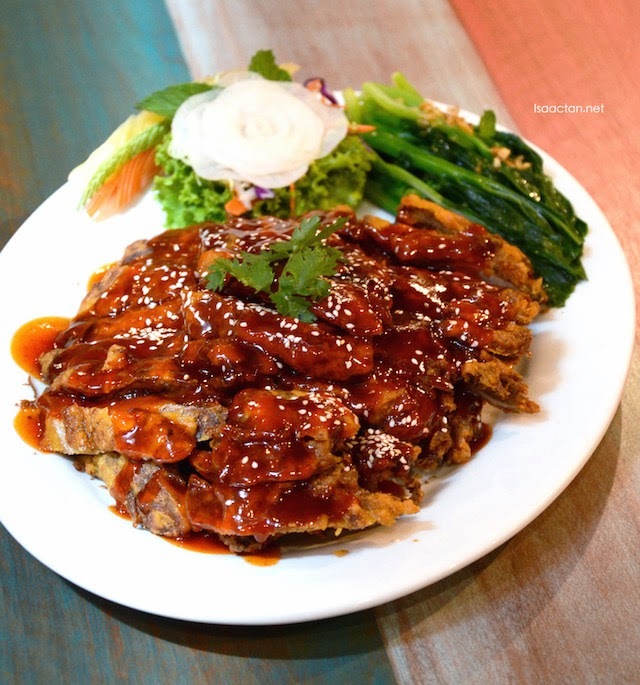 Served doused in reddish red wine sauce, the red wine duck served by Thai Syok is indeed very special. I like the fact that the duck is very tender, and didn't have that tough texture. Adding the crispy coat of batter and the sauce did wonders to the flavour. Easily my favourite dish for that afternoon. 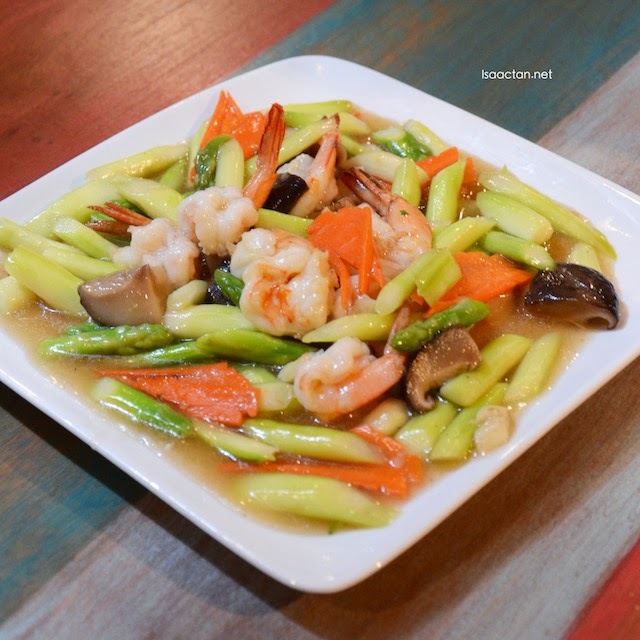 A refreshing dish, the Wok Fried Asparagus with Shrimps is served without any hint of spice, a good change from the usual spicy Thai dishes. Inside the prawns were really fresh coupled with the savoury sauce. 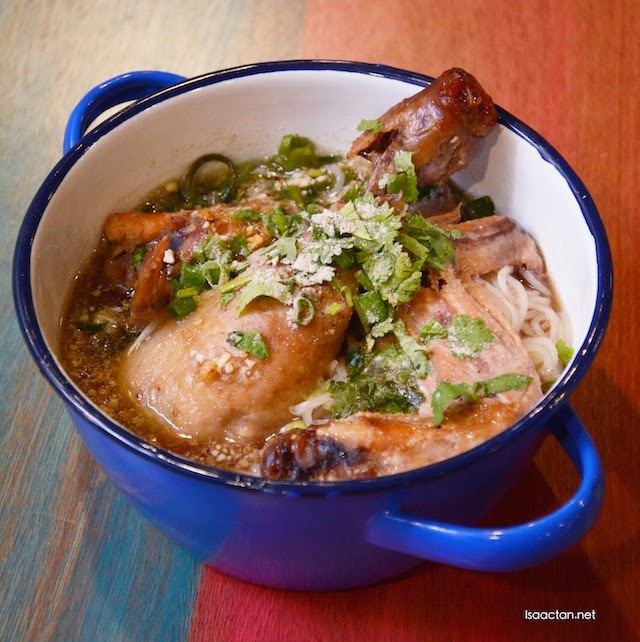 The boat noodle with chicken drumstick and wings served at Thai Syok is served in a clear, savoury broth made with French mixed herb. 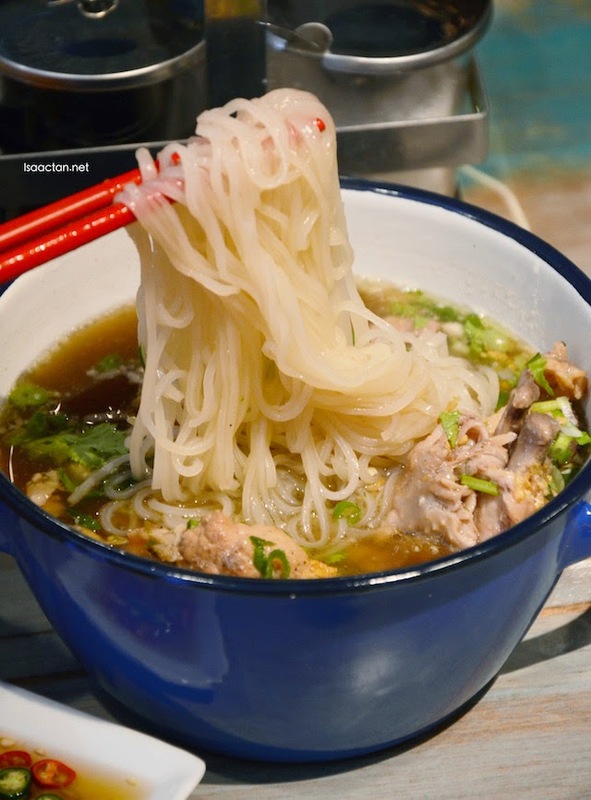 Savoury, tasty, with a taste that will linger on your tastebuds for a while. 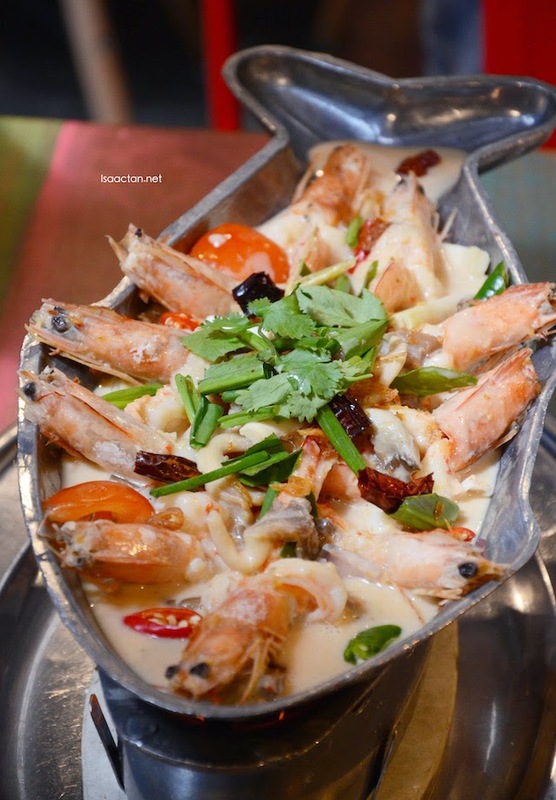 A beautiful dish, one of the must try at Thai Syok would be their Coconut Milk Prawn on Hot Pan. A recipe crafted inhouse, we could literally see the huge prawns bathing in a milky broth of coconut milk. The herbs enhanced the flavour. Of course, it's a major plus that the prawns were really fresh. 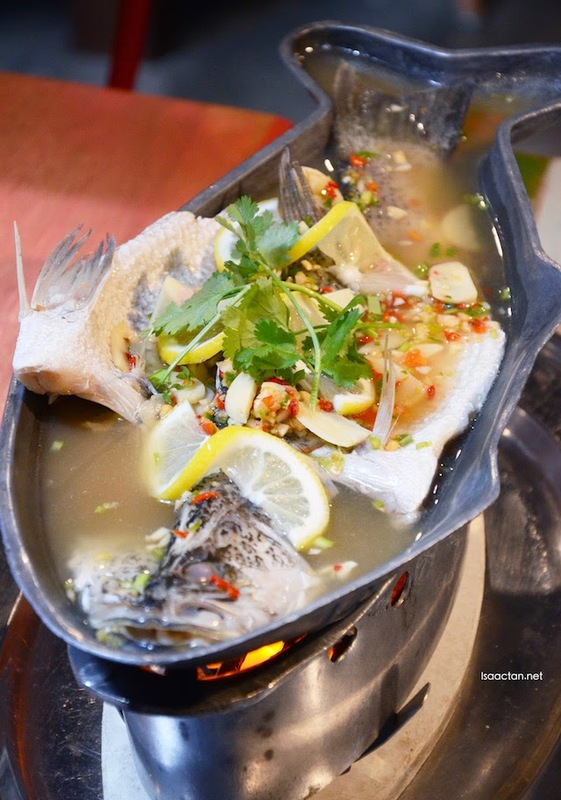 Infused with Thai fragrant herbs, we had the hot Lemon and Lime Steamed Sea Bass served piping hot. The flavour was one of being both spicy and sour at the same time, a Thai dish through and through. I always have an affinity for steamed fish, because only the freshest fish can be used, if not it wont taste as good. 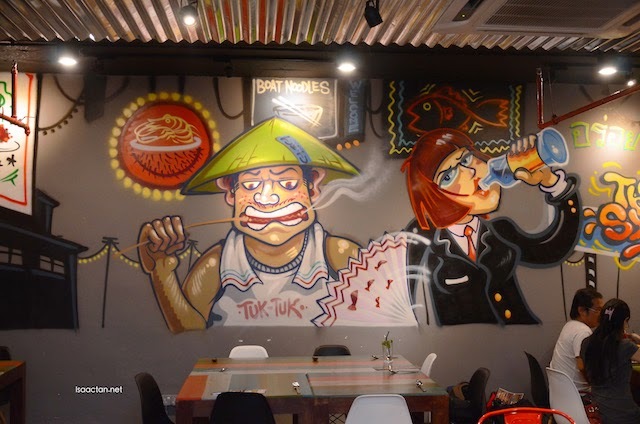 Any visit to a Thai restaurant would not be complete without having their traditional tom yum seafood. 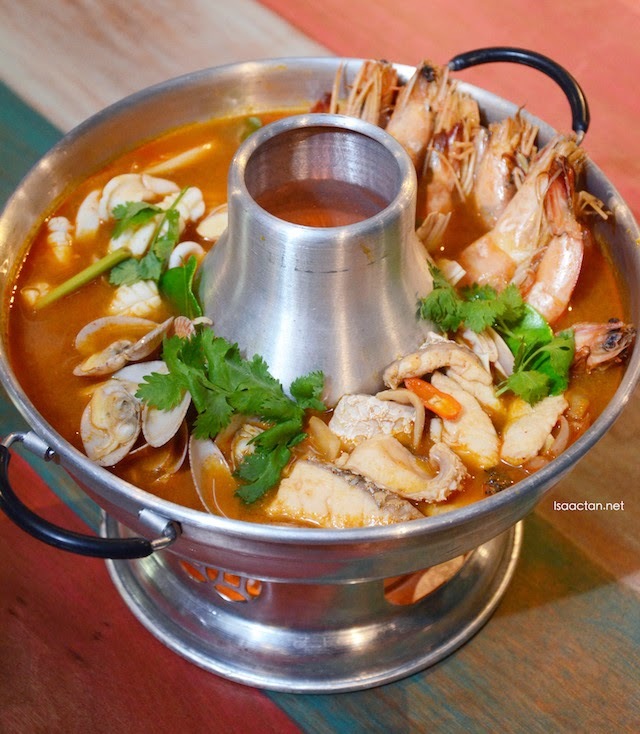 Extremely spicy, the various fresh seafood ingredients inside make for a good tomyum seafood pot. Good stuff. We ended our meal there with my favourite Thai dessert, the Red Rubies and Jackfruit Ice Blended and Mango Sticky Rice. Sweet and comforting, I do really enjoy these sweet dessert. 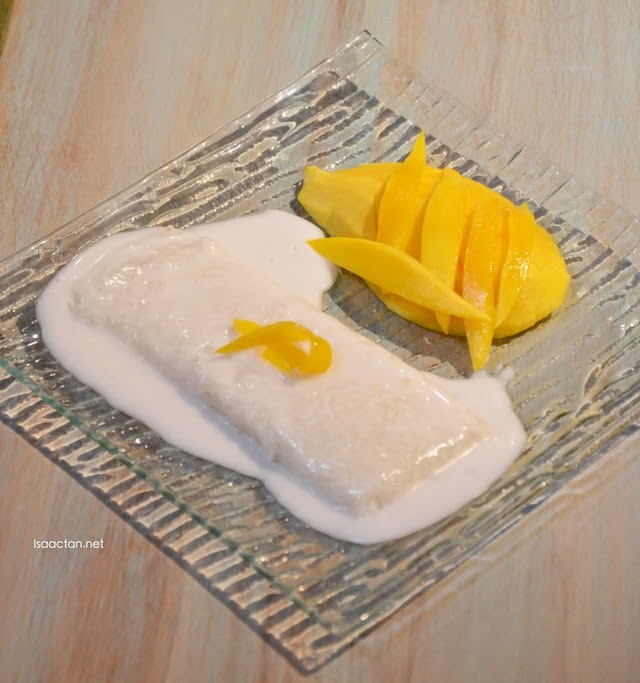 The Mango Sticky Rice were these delectable warm glutinous rice served with aromatic coconut milk for that extra indulgence. 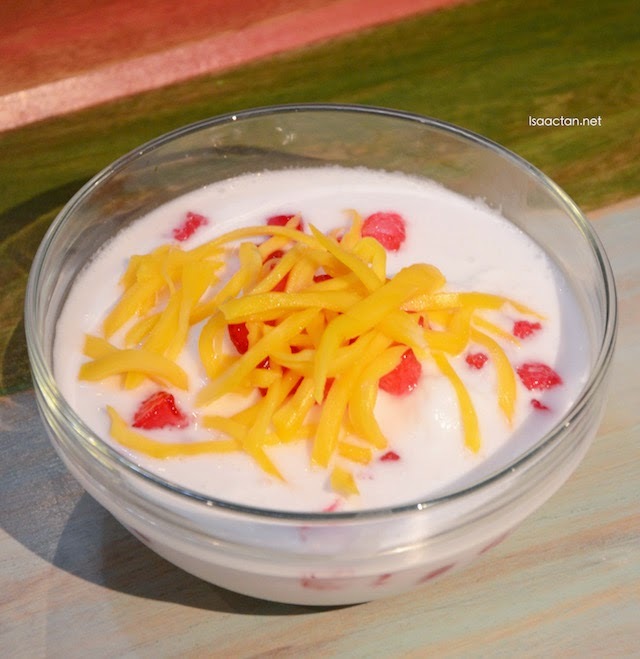 Served with fruity mangoes, a perfect end. * Valid for dine-in dinner hours only. Thai? Count me in, anytime!!! I like!! !